Sadly, a group of kids suffered embarrassment this week because of the deeds of their adults. 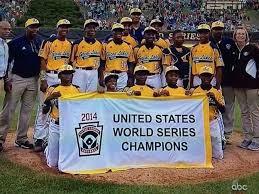 Little League Baseball stripped the U.S. championship from Chicago-based Jackie Robinson West and suspended its coach for violating a rule prohibiting the use of players who live outside the geographic area that the team represents. The kids played their game, had an experience of a lifetime, grew in so many ways, only to be told that their experience was not legitimate. What a crushing disillusionment for such young minds. I learned so much participating in sports as a teen. I learned that there would always be someone bigger, stronger, faster and more skilled than me. I learned that success requires a lot of hard work and commitment. I learned that heart can take you far, but only so far. I learned that success takes sacrifice. I learned all these things without ever being the hero, leading the team, hitting a buzzer-beater or winning a championship. I even learned these lessons sitting on the bench and not being chosen for the team. Years later, I would take all these lessons and channel them into a very different competitive endeavor, one that relied upon a very different skill set that didn’t involve my hands or my feet. Those years of competition–and yes, even of losing–taught me how to define success. I learned teamwork; I learned resilience. And the thing I remember most clearly is that my father let me figure it out all by myself. Thanks Dad, and thanks to all the wonderful coaches out there teaching life lessons between the lines. Dear Rabbi Scheff, It’s obvious you learned life’s lesson well and that you had a good teacher; your father. It’s reflected in the way you interact with people. But I can’t help thinking, using the example of the Little League kids, whether they should have suffered the disappointment they endured when they were not at fault. I would bet that those kids and their parents living out of the geographical area had no idea that they were involved in a violation of the rules. I agree that the coaches should be penalized and I would add that the team should also be suspended as well. You know how much I admire you.Reading this “blog” just reinforces my feelings. When a child or a group of children accomplish a lot in activities that effect their egos lose something valuable due to a role model’s mistake can be very defeating and devastating. 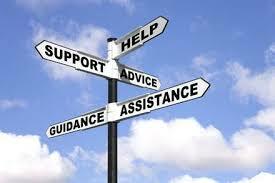 Coaches and teachers play a very large role as their parents in shaping their lives. What we carry on to our children will possibly repeat to their children. We learn by example, even more than just words. It is written in Jewish tradition, “you shall teach your children, so that they also teach their children.” A phase emphasize that meaning: L’dor v’dor.